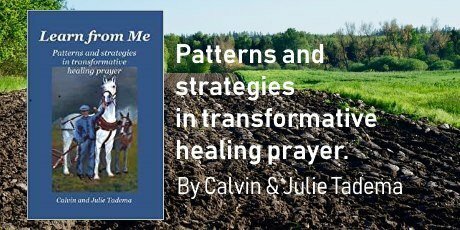 Two Worlds Media is proud to announce the release of Calvin and Julie Tadema’s new title, Learn From Me – Strategies and Patterns in Transformative Healing Prayer. This book is a sequel to Calvin’s last book, Heal Me O Lord. Both of these titles provide important insights into healing prayer and intercession. This entry was posted in New Release, Two Worlds Press and tagged Interview on June 12, 2018 by Two Worlds Media.